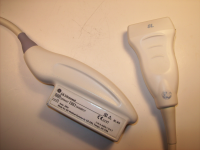 At UsedUltrasound.com, you will find all the standard ultrasound transducers and probes that are widely used, but you can also buy hard to find models, such as musculoskeletal ultrasound probes. We have the expertise and inventory to deliver virtually any used ultrasound probe you need, and we can do it for less. If you are looking for used MSK ultrasound machines, probes or transducers, we have the right equipment at some of the lowest prices you will find anywhere online. We realize that you might have reservations about buying used ultrasound equipment online, especially if this is your first purchase, and what’s precisely why we proudly offer a 100% satisfaction guarantee. We can do that because we only sell used ultrasound equipment that has been tested and inspected by an ultrasound professional. 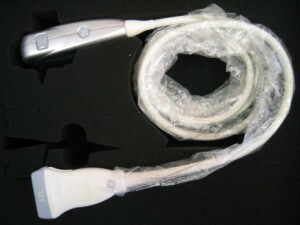 Plus, UsedUltrasound.com is an FDA-registered company with years of experience in the industry. 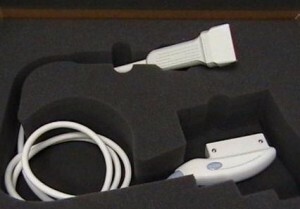 We want to make your buying experience as efficient and affordable as possible, so please do not hesitate to contact us with any questions or if you need used musculoskeletal ultrasound probe pricing information. In addition to offering refurbished musculoskeletal ultrasound equipment for sale at the lowest cost, we can also help you save money with one of our ultrasound service contracts. We have a variety of different options that can be tailored to your individual needs, depending on your location and the equipment you have on site. Our network of experienced ultrasound technicians can service virtually any brand of ultrasound machine, probe or transducer. We know how costly even a short amount of downtime can be, so our dedicated team will work hard to keep your equipment in top working order and quickly make repairs if a problem does occur. We want to help you save money on all your ultrasound needs, so contact us today if you need more information or pricing details on any of the MSK ultrasound probes for sale on our website.